This walking tour of NYC was another experience that we really cannot stop talking about. What are two places in the city that every New Yorker wishes he/she knew like the back of his/her hand? Easy. Chinatown and Little Italy. This tour does a little bit of walking, and a little bit of neat history and tales of gangs and shootings, and a lot of taste-testing--you will not need to eat anything else that day, make sure to come hungry, too! Alana, our sweet, energetic and knowledgeable tour guide, kept our minds engaged and our tummies full. We started in Little Italy at THE oldest cheese store in NYC, Alleva Dairy, where we tried their homemade prosciutto-wrapped mozzarella. Whose knees wouldnâ€™t buckle at the taste of freshly made mozzarella? At the next cheesy stop, Di Paloâ€™s, we simply couldnâ€™t get enough the Piave cheese. We would be lying if we said we havenâ€™t gone back there to get more of that drool-inducing cheese. For the rest of the Little Italy portion, we had one very delicious slice of pizza as well as Ferrara Bakeryâ€™s famed cannoli. So, instead of sitting down at restaurants, which according to Alana is an absolute tourist trap, we got to experience the wonderful grocery-shopping experience Little Italy truly is. Apparently this place was not always smiles and cheese-induced happiness, though. Alana captivated our imagination with historical anecdotes of gangs and killings in this neighborhood. Moving into Chinatown, we learned interesting facts about the areaâ€™s mysterious nature after heavy Chinese immigration in the late 1800s. 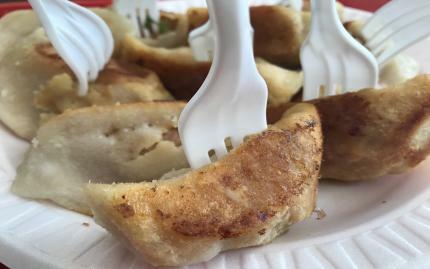 As we listened to all the neat trivia, we also digested some delectable bites such as pork and vegetable dumplings from Tasty Dumpling and the original egg roll from Nom Wah Tea Parlor. Both of these were our favorites in Chinatown without a doubt. If you are ever visiting New York, skip Times Square and just come right down to this surprising and mouthwatering tour, you will learn so much about these two diverse neighborhoods and will have places to come back to to get your fill of local flavor. 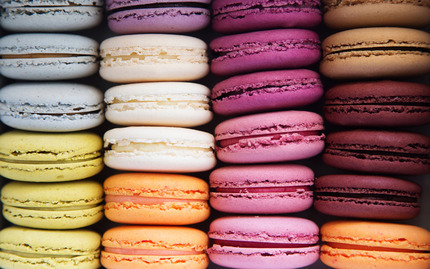 Get the ultimate foodie experience on a walking tour of Greenwich Village, one of the city's most historic areas, celebrated for its vast selection of cuisines. 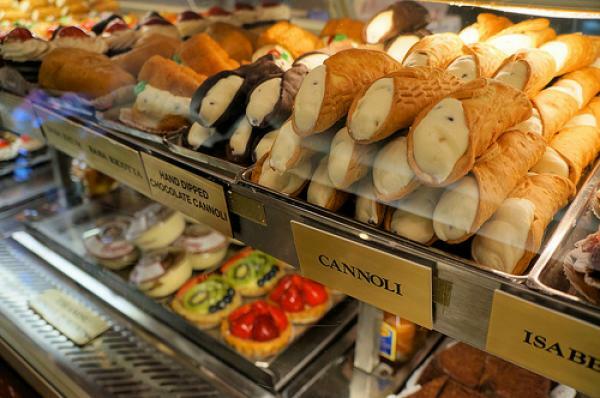 From Mediterranean delicacies and desserts to good ol' New York style pizza, there's something for everyone to enjoy. Expand your palette with the savory flavors of prociutto arancini and not-your-average bagel and shmear, or satisfy your sweet tooth with cajeta caramel and crepes galore. Drooling yet? We warned ya!